Management of wild waterfowl has become increasingly intensive. Many birds now hatch in managed nesting cover or in artificial nesting structures, use man-made wetlands, and winter on crowded refuges while consuming a grain diet The water they use is often limited in supply and may contain residues from its many prior users. Unfortunately, intensified management often results in new problems, among which disease is important There are many similarities between the current form of management used for some waterfowl and that used in domestic animals. In both, the objective is to maintain a healthy, productive population. Dealing with health problems in waterfowl will benefit from combining the skills of veterinary medicine and wildlife ecology. Revisiting this book after 15 years allowed me to consider changes at the interface between the two disciplines. Veterinary medicine traditionally has been concerned with the individual and with treating sick animals, while the ecologist is concerned with populations and the manager has limited interest in treating sick birds. During this period there has been a marked increase in awareness among veterinarians that they have a responsibility in wildlife and conservation biology. Curricula of many veterinary colleges now include material on non-domestic animals and attempt to put disease in an ecological context. 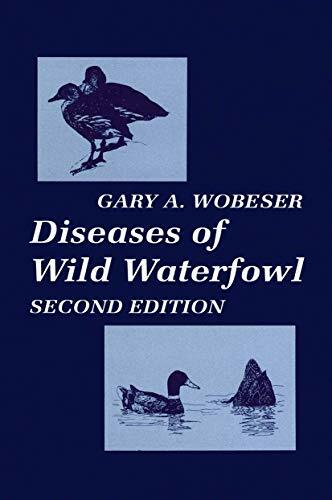 Also during this time, waterfowl managers have become more aware of disease as a factor in population biology and there are early attempts to put numbers to "disease" in models of continental waterfowl populations.